Ever feel like you want to do something—get involved with a social movement or community project somehow—but aren’t sure where to start? Concordia’s extra curricular community is broad and can feel pretty nebulous, which makes it hard to find what floats your boat. “There are a lot of students who come to Concordia, go to their classes, and they graduate, not having done anything with [their time at Concordia],” said Nick Gertler, a communications and political science student, as well as an ambassador for Spark!. Spark!, a new collaborative initiative that aims to connect students with the larger community on campus, is led by the Dean of Students Office and a team of eight student ambassadors. In fall 2017, the National Survey of Student Engagement (NSSE), with support from la Ministère de l’Éducation et de l’Enseignement supérieur and Spark!, began researching the disparity between students’s intentions to engage in high-impact practices (HIPs), and their completion of any by graduation—or the student engagement gap, as the NSSE deemed their findings. Their main goal: decreasing that gap, and increasing student involvement, both on and off campus. 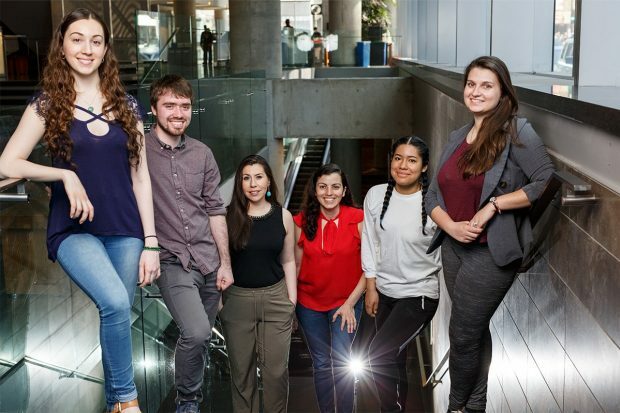 “We’re trying to figure out how to best connect students with the opportunities that already exist [at Concordia], as opposed to creating a whole new thing, in and of itself,” said Gertler. Between a handful of separate faculties, over a dozen organizations, initiatives and community projects around campus and more than 50,000 students at Concordia, it’s fair to say the student body is quite factioned off. When it comes to connecting students, “the constant problem [is] these little communication bubbles,” said Gertler. By building relationships with existing on-campus associations, unions, faculties and networking to new students through a fleet of student ambassadors, Gertler explained that Spark! is hoping to find ways in which those communication bubbles intersect and where they can be popped to spark engagement. While Spark! has spent this past year researching and preparing for their launch, the student-led initiative will be introducing themselves to first-year classes over the next few weeks. “We’re really trying to keep the perspective of ‘meet students where they are,’” said Philippe Boucher, a first peoples studies student and ambassador for Spark!. “And with these class presentations, the goal is not really to present specific associations or projects, but more to ask questions like ‘Why get involved? What is involvement?,’” said Boucher. In addition to fostering engagement through communication and collaboration, Spark! hopes to empower individuals to see the applicability of skills they already possess. “What’s interesting about [Spark!] is that we have all these ‘resources,’ but we are those resources,” said Lopez. As ambassadors and students, we have such a wide perspective and range of experiences, Lopez explained, and part of going out and talking to students face-to-face is to help them realize they also have this knowledge. “It’s a fantastic system of engaging students, who are already engaged, to engage more students,” said Lopez.